Every year in April, hundreds of thousands of people anticipate the announcement of who will be performing at Chicago's summer iconic food fest, The Taste of Chicago. It is an announcement that rarely disappoints because the artists who are chosen to entertain the masses at this fodder-filled celebration are usually those who embody summer fun and indulgent memories, just as the event itself. 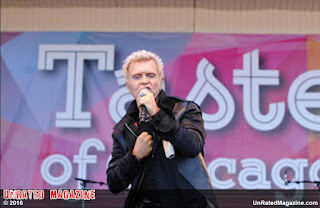 Finally in late April, it was announced that on Saturday, July 9th, the Taste of Chicago stage was reserved for none other than rock legend, Billy Idol. On the date of the performance, the sea of people in front of the Petrillo Music Shell were thousands deep, all of them waiting for one thing....their beloved Idol to take the stage. Coming from all over the world, there were a variety of fans within all age groups that were in attendance....some of whom I personally caught practicing their iconic Billy Idol inspired sneer and fist punch. Either way, all were smiling and in good nature on what turned out to be a gorgeous 80-degree day in downtown Chicago. 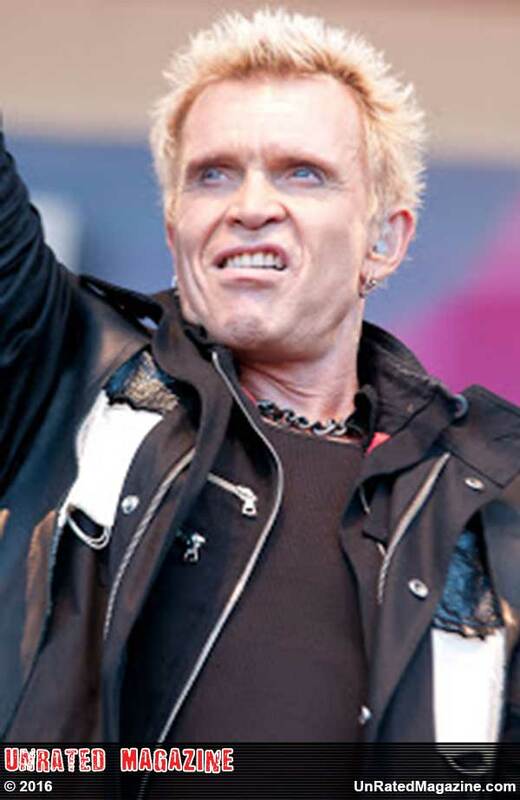 As the time came for the concert to begin, Billy Idol appears dressed in his trademark black leather pants and a black button-down shirt, and starts his set with his 1993 hit, "Shock to the System." It was at this time he made it very clear to his fans that this particular show was going to be overflowing with high energy and an immense amount of nostalgia. Due to the deafening screaming and clapping that followed, it was very apparent that everyone there was beyond thrilled and already appreciating what the rest of the show would bring. While Idol forcefully belted his classics, his long time guitar mate, Steve Stevens, strode the entire stage in unison with the heart-pounding bass line, adding his trademark guitar talent along the way. It is unbelievable that Idol is now sixty years old because in no way, shape, or form has his voice been affected with years passed, as he sounds just like he did in 1981. Covering all of his classics, including, Dancing with Myself; Flesh for Fantasy; Eyes Without a Face; and then deciding to rip off his shirt to perform his mega-hit, Rebel Yell, legendary Billy Idol proved once again that he still has what it takes to rock. 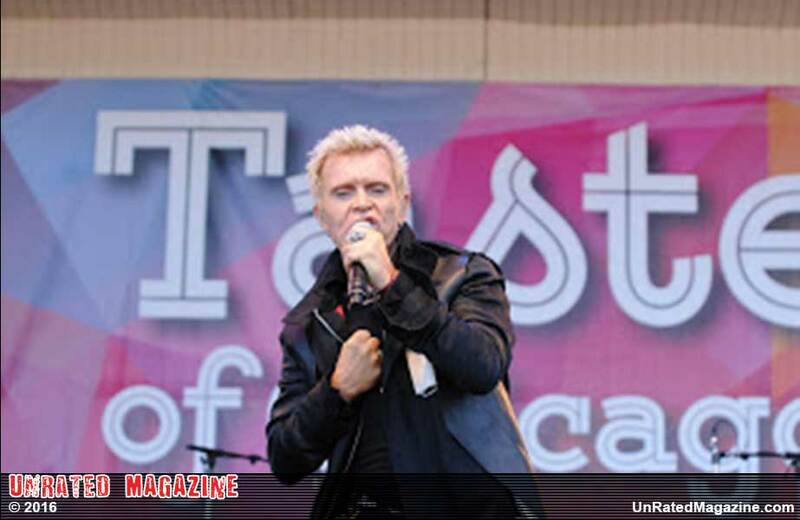 If you would like to see/hear Billy Idol LIVE for yourself, Idol is performing several dates through October at the House of Blues in Las Vegas at Mandalay Bay Resort.